Fougere, Powdery, Woody. 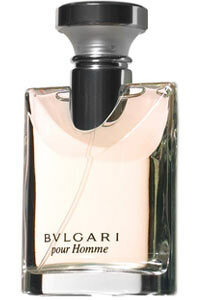 Created in 1995, Bvlgari is classified as a refreshing, oriental, woody fragrance. This fine fragrance contains rosewood, pepper, musk and is accented with green tea, vetiver and cedar making Bvlgari perfect for evening use. Top notes: Bergamot, Lavender, Mandarin, Aldehydes. Middle notes: Pepper, Coriander, Geranium, Carnation. Base notes: Cedar, Amber, Tonka, Oakmoss.